Heritage School has been delivering a rich education in a supportive community since 2007. We now have an exciting opportunity to buy our main school site in the heart of Cambridge and secure our work for the future. About 80% of the necessary funds are in place. Our goal now is to raise the final £750,000 by Easter. We hope you will partner with us at this decisive moment on our journey, and help establish Heritage School for generations to come. Give.net facilitates tax efficient giving with Gift Aid. For larger donations or if you have any queries, please contact Catriona Buchanan, our Bursar, on giving@heritageschool.org.uk or on 01223 350615. Donations will be routed via Christian Heritage USA Foundation Inc. and are tax deductible. You will immediately receive a receipt of your donation from the National Christian Foundation, which is managing gifts for us. There are no admin charges. We have come to a remarkable moment of opportunity. Our landlords have decided to sell our main school site after Easter. About 80% of the necessary funds are in place for us to buy the buildings. Our goal now is to raise the final £750,000 in donations by Easter*. 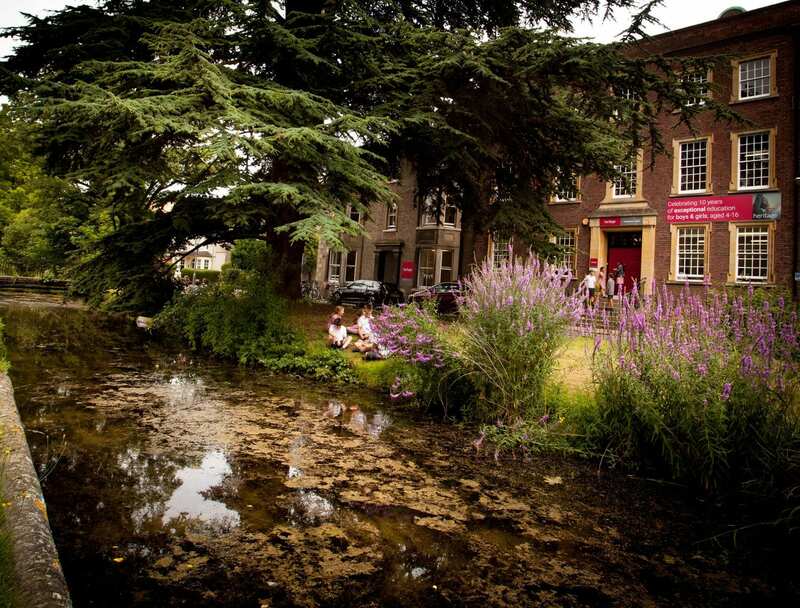 At this decisive moment on our journey, will you help establish the work of Heritage School here in the heart of Cambridge for decades to come? Our story began in the early 1970s. Ranald and Susan Macaulay, who later became founding Trustees of Heritage School, discovered a small school in Sussex with a radically different approach to education. It was this approach, based on the ideas of the British Christian educationalist Charlotte Mason (1842-1923), that inspired Susan to write For the Children’s Sake in the early 1980s. Shortly afterwards they established Child Light, the charity which operates Heritage School, to encourage Christian education along Charlotte Mason lines. In 2007, Heritage School was founded due to the generosity of many supporters and the courage of pioneering families, who were drawn with us to this bigger vision of what education is for. Today, we are at full capacity with 200 pupils aged between 4 and 16. We have grown gradually over the years to fill all three buildings, 17-19 Brookside. Just over a year ago, we were pleased to be able to purchase Panton Hall, which provides us with additional space near our main site. Schools are all about relationships. For this reason, we are committed to remaining the same size we are today, so we can know and serve each child very well. Our distinctive culture and methods will also remain the same. The central conviction which drives our work is that knowledge is something to be cherished. Too often today our systems reduce education to mere information, to pass exams for example, and the life gets squeezed out of it. Underpinning all that we do is the Christian faith, which shapes our values and priorities and gives us a sense of direction. We are currently developing a research component to our work to strengthen our understanding and implementation of this unique educational philosophy. Looking further ahead, we hope to find ways to share it with others and contribute a fresh perspective to the wider educational debate in Cambridge and beyond. Our prayer is that Heritage School will now be firmly established where it has been planted. To make this possible we need to raise £750,000 in donations by Easter. If more is given, this will help significantly by strengthening our hand in negotiations and/or reducing our borrowing costs. We hope you will consider helping us establish this important work for future generations. Instructions for how to give tax efficiently from the UK and the USA can be found on the Easter Appeal page of our website: www.heritageschool.org.uk/school-appeal. Please do not hesitate to contact either myself, or Catriona Buchanan, our Bursar, to discuss any questions you may have by email on giving@heritageschool.org.uk or by telephone on +44 1223 350615. * By late April we need to know whether we can meet the asking price. However, given the time it takes to complete a purchase, definite pledges to give by the end of June are equally helpful. Please contact us by phone or email to do this, or to ask any questions you may have. All money given to this appeal will go toward securing premises for Heritage School. If you have any further questions or queries please do not hesitate to contact the Headmaster, Jason Fletcher, or the Bursar, Catriona Buchanan, on giving@heritageschool.org.uk or by telephone on +44 1223 350615. Proudly powered by WordPress | Theme: Store WP Premium by Iografica Themes.